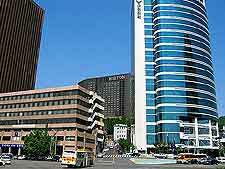 All around Seoul you will find accommodation of varying descriptions, suiting a range of different price brackets. Hotels in Seoul tend to be very comfortably and friendly, and provide a high standard of lodging - usually at a high price. 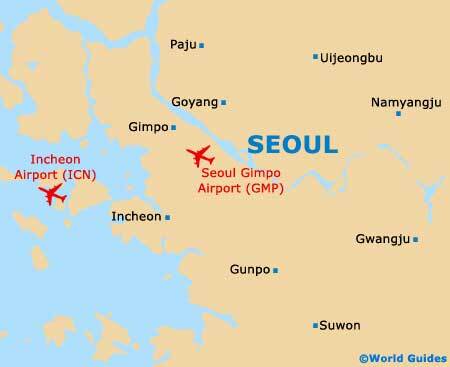 When booking your hotel, those flying into Seoul should be sure to enquire whether the price will include a free pickup from Incheon International Airport. The most central accommodation does generally command the highest price, although the main sights are never usually more than a short bus ride away. 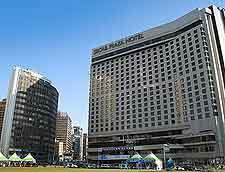 Luxury lodging in Seoul is plentiful around the City Hall Square, where many restaurants are just a short stroll away. Budget travellers will generally find the cheapest hotels to be located on the north-easterly side of the Shinch'on subway station, although those with bright neon lights outside tend to be 'Love Hotels', where rooms are available for either just a few hours, over overnight. Backpackers favour the Anguk district, which lies directly north of Seoul city centre and close to the Changdeok-gung Palace. Another cheap accommodation option is to simply spend a night at one of the city's public bathhouses (jimjilbangs), in the shared sleeping room, however, if you prefer something more upmarket, then the Grand Hyatt on the Hannam 2-Dong, the Hilton Seoul next to the Namdaemun Market, and the JW Marriott in Gangnam are all very hard to better.